Remember Sunshine Corazon, the Filipino exchange student with a golden voice who made Rachel Berry incredibly jealous? 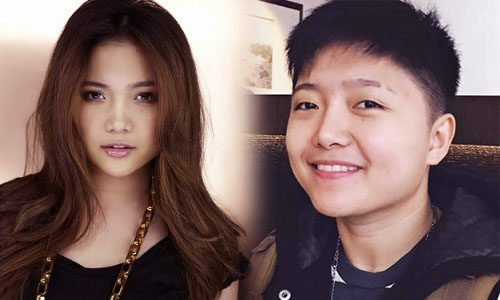 The actor formerly known as Charice Pempengco announced on Twitter that his new name is Jake Zyrus and he identifies as a man. Before transitioning, Zyrus was out as a lesbian. My first tweet as Jake. Overwhelmed. Saw all your love comments and I'm so happy. Finally. I love you, everyone and see you soon. The actor and singer, who previously performed under the mononym Charice, rose to fame via YouTube and was dubbed “the most talented girl in the world.” When his album launched in 2010, Zyrus became the first Asian performer to debut in the Top 10 on the Billboard 100. I won't let anyone ruin this moment. I won't let anyone ruin my happiness. Thank you to all the beautiful write ups about me.